Instead of asking only if prize winning images are manipulated, we should also ask why they are changed to become the way they are. Is it a fake? Is it pho­tos­hop­ped? Is it real? 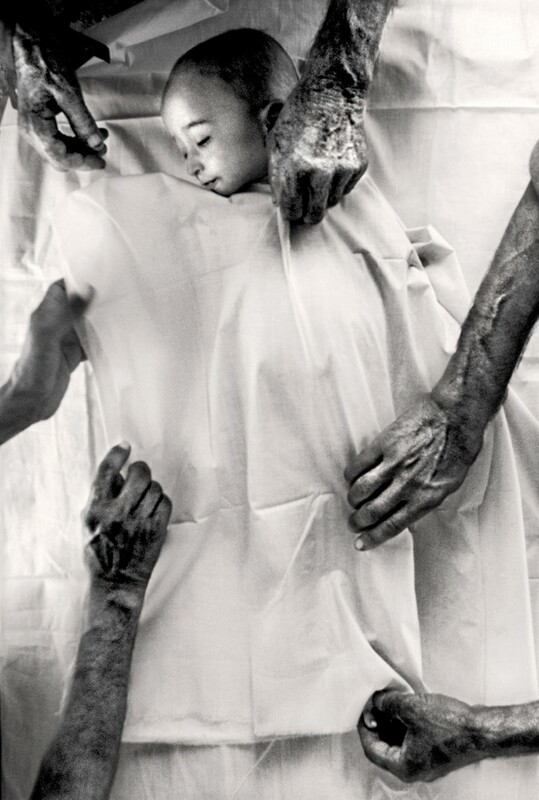 Paul Hansen’s win­ner of the 2012 World Press Photo com­pe­tition is just the latest examp­le of more than 100 years of con­ti­nuous discus­sions about the mani­pu­la­tion of pho­to­graphs. How­e­ver, inste­ad of asking only if prize win­ning ima­ges are mani­pu­lated (and of cour­se in some way they all are), we should also ask why are they changed to become the way they are? Or, to put it dif­fe­rent­ly: what kinds of pho­to­graphs win awards? When we look clo­ser at the chan­ging sty­les of the win­ning pho­to­graphs sin­ce the begin­ning of the World Press Photo com­pe­tition in 1955, we see that Hansen’s pic­tu­re is part of a cine­ma­tic form of expres­sion that has emer­ged in the last 6–7 years. 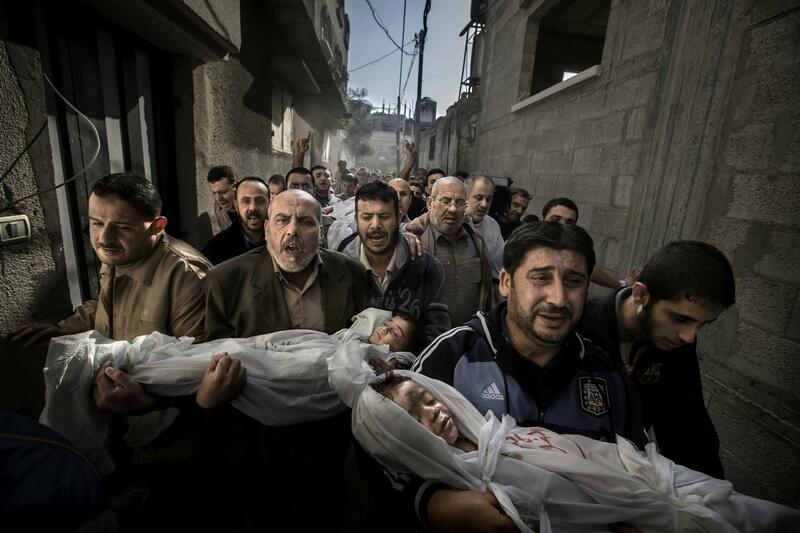 The ima­ge por­trays fami­ly mem­bers from Gaza car­ry­ing the bodies of a two small child­ren to their buri­al after being kil­led in an Israe­li air strike. It is no coin­ci­den­ce that it has been cal­led a movie pos­ter. How­e­ver, the photo is more like a still; a story fro­zen in time, but con­densed with motion and move­ment, invi­ting us into a nar­ra­ti­ve of what has hap­pe­ned before, and what might hap­pen next. This new trend is dif­fe­rent from other domi­nant sty­les among the WPP win­ners. Some of the win­ning pic­tu­res hold what we can call news moments (simi­lar to Henri Car­ti­er Bresson’s deci­si­ve moments). Most of the news moments are from the 1960s. A pri­me examp­le is Eddie Adams’ 1968 pic­tu­re of the exe­cution of a sus­pec­ted Viet Cong mem­ber, showing the exact moment of the bullet’s pene­tra­tion of the brain. The impact of the pic­tu­re lies pri­ma­ri­ly in cap­turing a cer­tain news event in a frac­tion a second. The clo­ser we get to this cen­tury, the fewer pic­tu­res we see of such news moments. 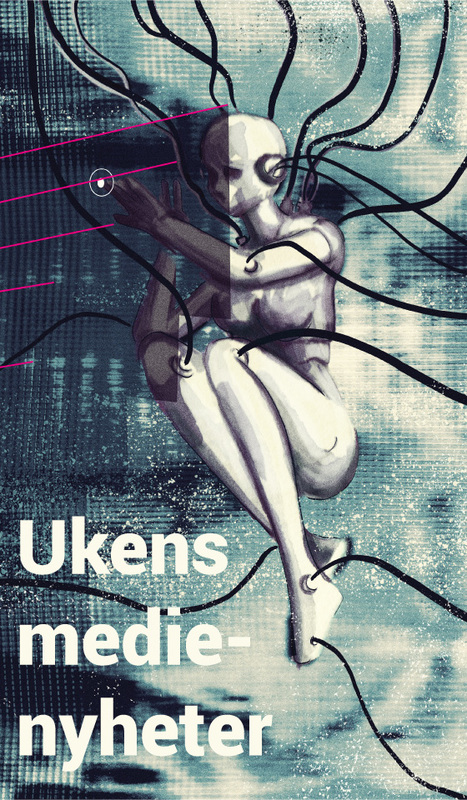 Inste­ad we see more featu­re-like pho­to­graphs cap­turing – not a moment, but a gene­ral situa­tion or con­dition. Take this win­ner from 2004 por­tray­ing a woman mour­ning a rela­ti­ve after the Asi­an tsu­na­mi of Decem­ber 2003. The photo is con­structed around a jux­ta­po­sition betwe­en the dead body, repre­sented by only an arm in the left of the frame, and the bereaved, repre­sented by a woman lying face down on the sand in the right part of the frame. This kind of expli­cit­ly arti­s­tic visu­al rhe­to­ric pre­vai­led from 2000–2004. The 2001 win­ner por­trays how the body of a one-year-old boy who died of dehy­dra­tion is being pre­pared for buri­al at Jalo­zai refugee camp in Pakis­tan. It is a very rare examp­le of a pic­tu­re being taken in a full bird’s eye per­s­pec­ti­ve, direct­ly from abo­ve. The pic­tu­re is domi­nated by the whi­te color of the dra­ping she­ets, cove­ring the body of the litt­le boy, so we only see the left side of his face. He seems at peace, and the pic­tu­re exu­des calm­ness, giving it an almost ethe­re­al dimension. Com­bined with the ang­le of the arms dra­ping the she­ets, the pic­tu­re is more an aest­he­tic moment than it is a news moment. Hansen’s pic­tu­re is neit­her a news moment nor an aest­he­tic moment – not to say, of cour­se, that it does not have style. All ima­ges do. Inste­ad the aest­he­tic tendency exhi­bited in this pic­tu­re is a more of a kind of movie rea­lism, a sort of pho­to­grap­hic cine­ma veri­té. We see a simi­lar tendency in the win­ners from 2007, 2008, and 2009. The 2007-win­ner shows a US sol­di­er sin­king onto an embank­ment in a bun­ker in Afgha­ni­stan. The 2008 win­ner depicts a police­man ente­ring a home in Cle­ve­land, USA, in order to check whether the owners have vaca­ted the pre­mi­ses. In 2009 we see women shou­ting their dis­sent from a Teh­ran rooftop following Iran’s dis­puted pre­si­den­ti­al election. These ima­ges are not color­ful, the­re are no clo­se ups, no cle­ar, simp­le or stylized com­po­sitions, and no con­spi­cuous jux­ta­po­sitions or an obvious use of some part to repre­sent a whole. They give the impres­sion of the fic­tio­nal rea­lism we some­ti­mes encoun­ter at the cine­ma. Whi­le the begin­ning of the deca­de pre­sented pho­to­graphs that have their main rhe­to­ri­cal appe­al in their com­po­sitio­nal and aest­he­tic orga­niza­tion, these pho­to­graphs appe­al more through story-making. The first kind invi­tes the viewer insi­de the frame, encoura­ging explo­ra­tion of the ele­ments in the visu­al moment, cap­ti­va­ting us through visu­al design. The second kind invi­tes the viewer out­side the frame, encoura­ging par­ti­ci­pa­tion in the con­struc­tion of a nar­ra­ti­ve, enga­ging us in spe­c­u­la­tions of what has hap­pe­ned and what will hap­pen. This kind of neo-rea­li­s­tic press pho­to­grap­hy seems to be more open to inter­pre­ta­tion than the more obvious sym­bo­lic pho­tos. The stran­ge thing, though, is that the more the pic­tu­res draw us into a story of most­ly our own crea­tion, they seem to draw us away from the events they are depic­ting. They are all fabu­lous ima­ges, but even when pro­vi­ded with the back­sto­ries I remain a specta­tor immer­sed in the story, in awe of the artwork, wai­ting for the movie to pre­miere. 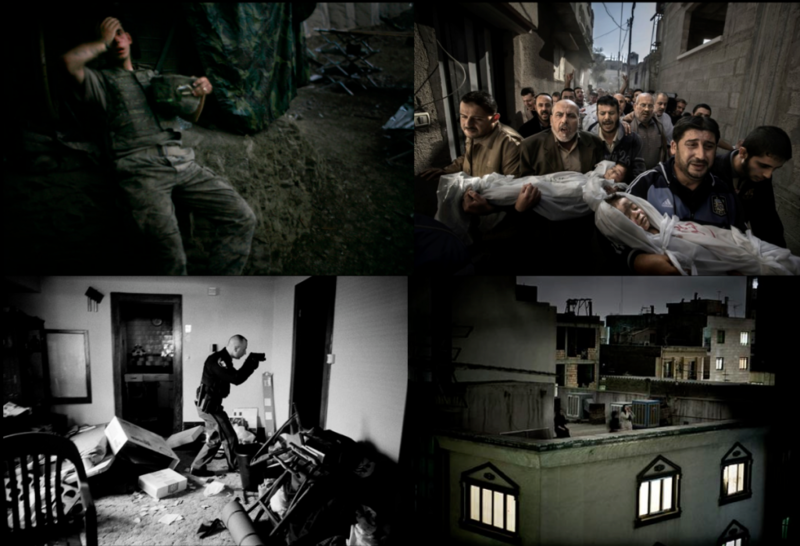 World Press Photo award-win­ning pho­to­graphs by Paul Han­sen, Arko Dat­ta, Erik Ref­ner, and (clockwise from the upp­er left) Tim Hethe­ring­ton, Paul Han­sen, Pie­tro Mas­tur­zo, and Antho­ny Suau. This text has pre­vious­ly been pub­lis­hed on the site No Cap­tion Nee­ded. If you are inte­re­sted in photo­jour­na­lism, don’t miss it.